So I’m guessing you’ve heard of Angry Birds, but did you know they have a far more interesting cousin called Amazing Alex? 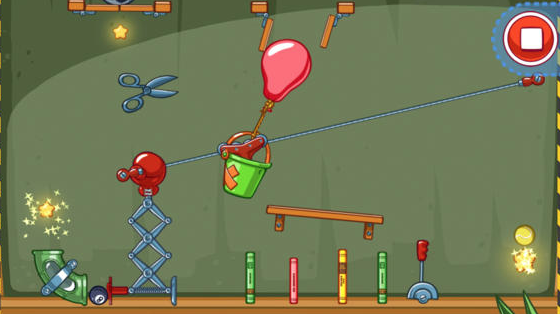 The makers of AB have come up with this wonderfully inventive physics based app that challenges players to come up with creative solutions to various puzzles. Always a fan of apps that promote experimentation and lateral thinking, this app is on high rotation on our iPad. 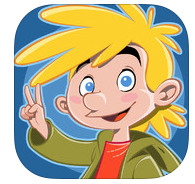 Amazing Alex encourages your little inventor to put on their thinking cap to try and work out solutions to a variety of puzzles, collecting up to three gold stars along the way. The stars motivate, but aren’t integral to the game, thus giving experimenting top priority over score. 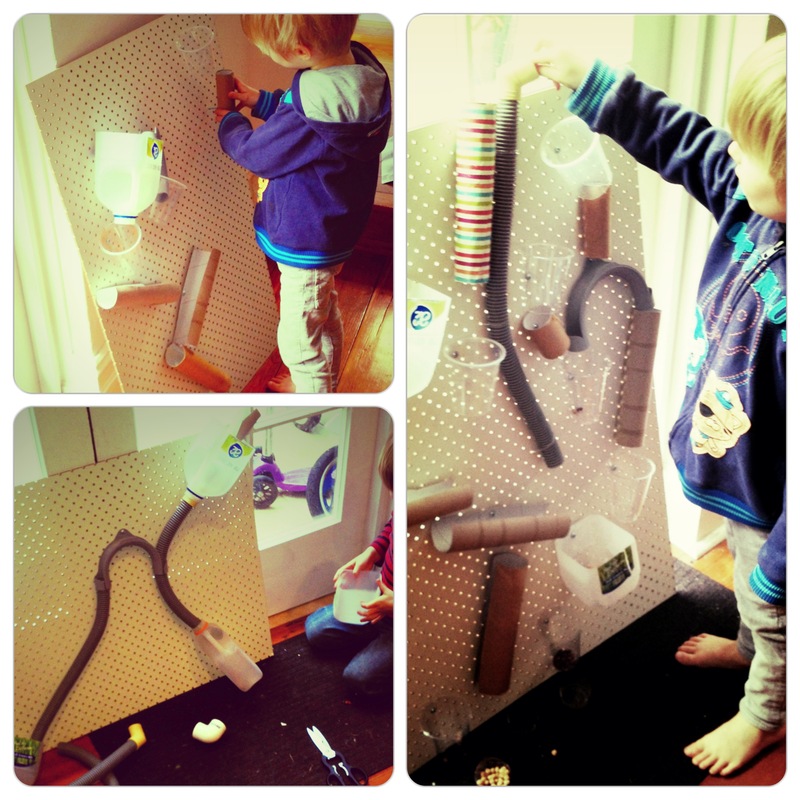 There’s no particular ‘right’ answer so kids can just enjoy creating various contraptions to solve the puzzle. I had an idea to translate some of our favourite apps into real world activities and after being inspired by a water wall I saw created from old bottles, the Amazing Alex inspired Bean Run was born! As you can see from these pictures it’s basically some peg board with bits from the recycling bin screwed to it. L Star and I experimented with different materials, cardboard, plastic cups, old milk bottles to see which would work best. I bought some washing machine hose at the hardware store and that has been by far the most popular aspect of the contraption. We used the ever popular dried pulses (beans, chick peas etc) to pour through it and they make a very satisfying tinkling sound as they go through the pipes. It’s had a couple of reinventions now and little Cool A has gotten in on the action, liberally chucking stuff down the tubes and demanding more beans! We learnt lots of things along the way, like not to fasten the items to the board too tightly because they will invariably need moving five minutes later. Having containers at the bottom of each chute to catch the beans worked for us too rather than having one big container for the whole thing to sit in. It meant the boys could easily scoop up the beans to re use and managed the mess slightly! This was a terribly exhausting activity to set up in that it required me to plonk down one piece of peg board and one cup of pipe cleaners. Phew! L Star got right into threading the pipe cleaners back and forth creating a control unit which would move the peg board around on his command, apparently. Cool A thought he deserved a round of applause every time he threaded something on, to which I happily obliged! 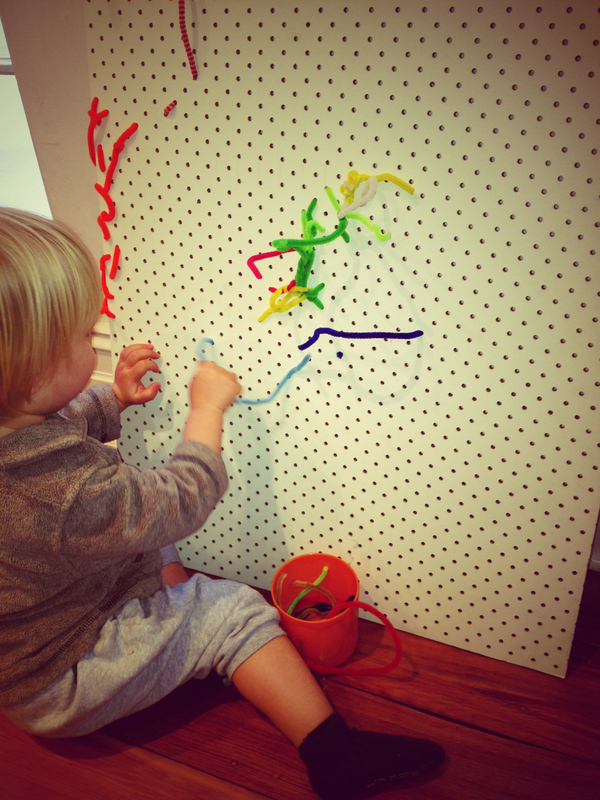 If you don’t have peg board (which I bought at the hardware store) you could start with pipe cleaners and a sieve or a cereal box with holes poked through it for similar effect. Happy inventing! Next Meditation: tools to manage kids meltdowns!